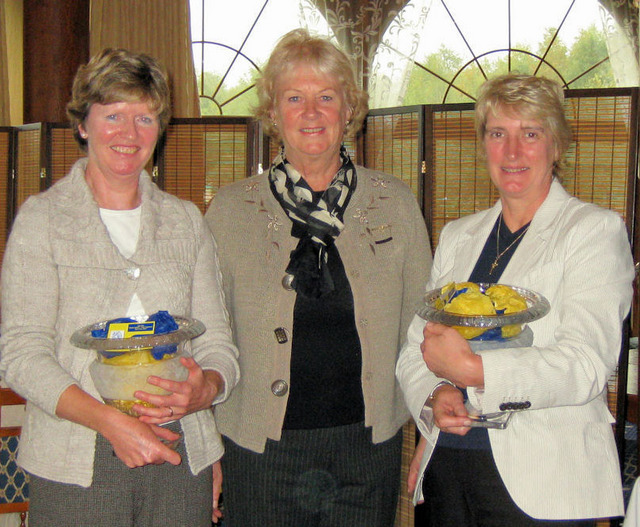 Played at the West Midlands Golf Club on Thursday 15th October, past Lady Captains of Warwickshire Golf Clubs competed in this Foursomes competition for the Rene Greey Trophy. With 62 competitors waking early in the morning, anticipating this Indian Summer to once again provide wonderful Autumn playing conditions, how wrong could they be! What a shock to the system to have to play golf in the rain for four hours -and we all had the same conditions!! As the Ladies arrived back at the Clubhouse looking like drowned rats, their spirits were quickly raised when, after changing out of their wet gear, an excellent lunch awaited them. 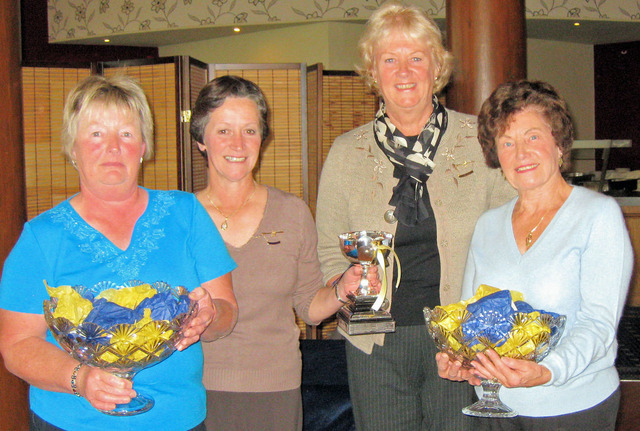 Congatulations to the West Midlands Golf Club for putting on such a lovely meal. We must thank Rudells the Jewellers who once again were our very generous sponsors for the day, and excellent gifts were presented to the winners.